Once again, the children and parents astonished us with their creativity. On Friday afternoon, the hall was full of the most amazing pumpkin creations. 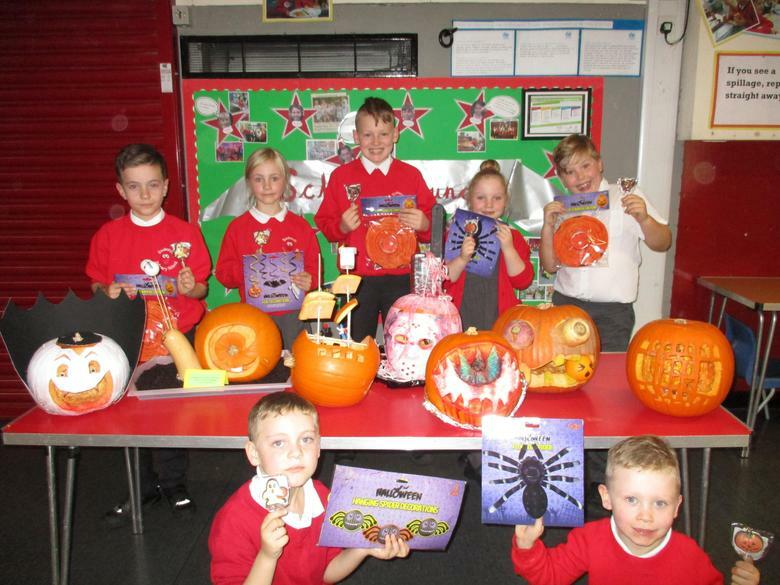 Mrs Jennings and the school council had an almost impossible job choosing a winner from each class but in the end, they went for the very talented children in the picture below. Well done everyone who took part.